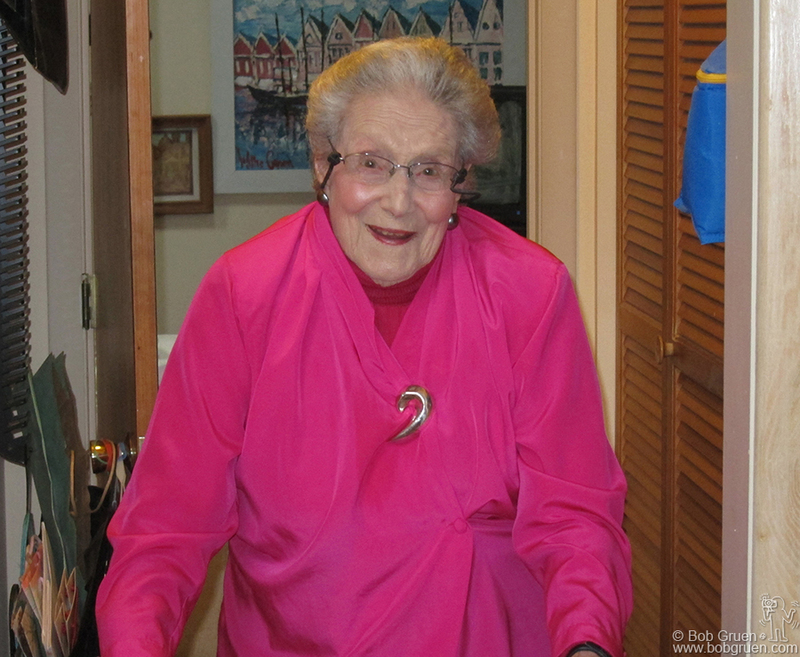 Feb. 2 – Chapel Hill, NC – My Mother, Elizabeth, celebrated her 99th birthday, healthy and smiling! It was my mom who taught me to develop and print my photos and started me on my photography journey. 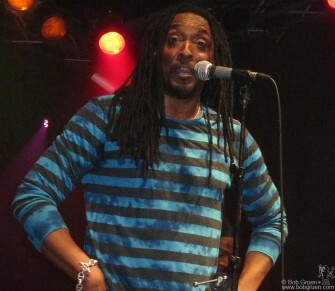 Feb. 8 – New York – Bernard Fowler headlined at the Highline Ballroom, for a very funky night. 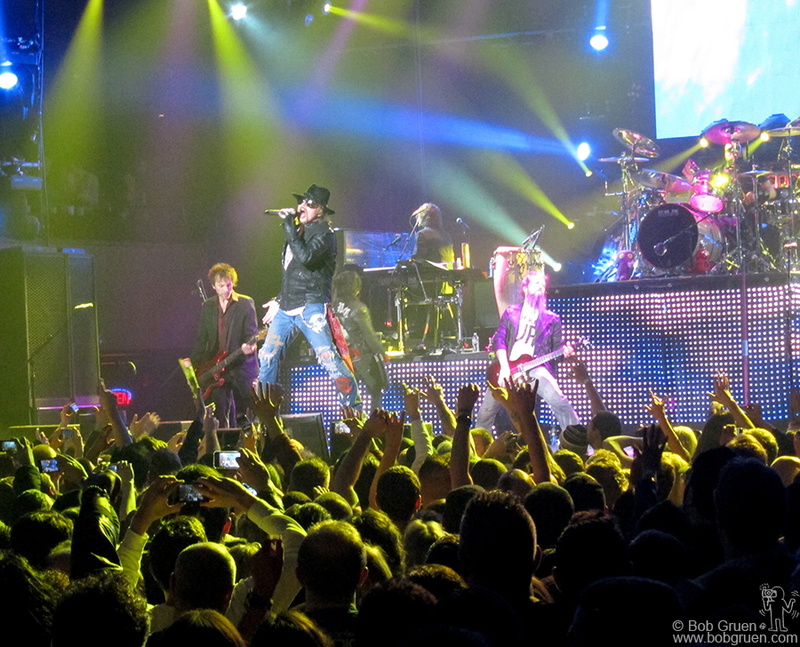 Feb. 10 – Guns & Roses at Roseland featured an ontime (!) 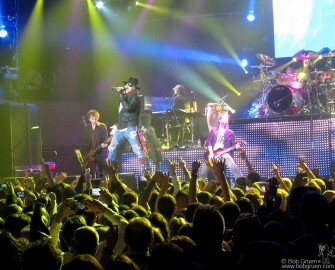 Axl Rose fronting a hot set of favorites. 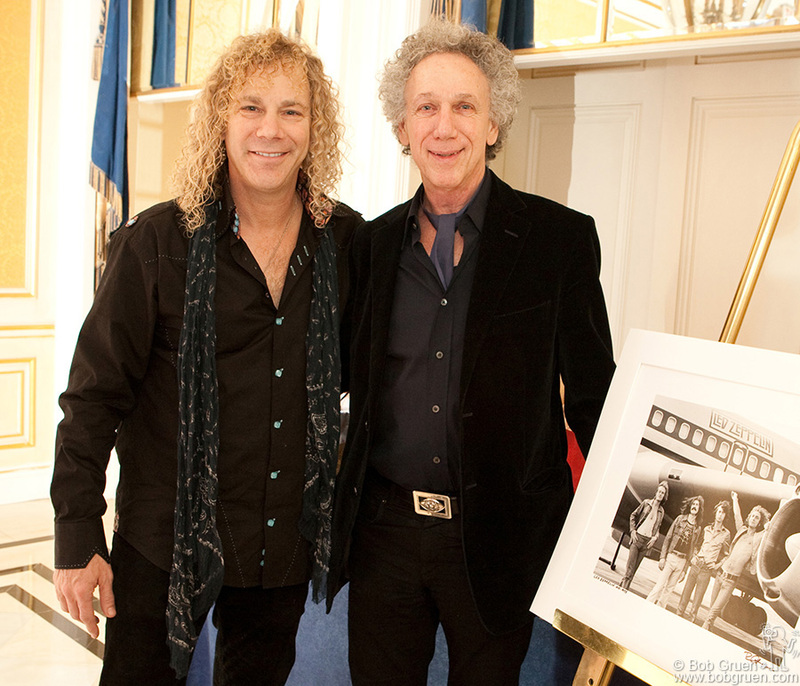 Feb. 11 – Piano player and playwrite David Bryan celebrated his 50th birthday at the Essex House, where I gave him a print of my Led Zeppelin photo. He said the photo inspired him to become a rock star. Feb. 17 – San Francisco – Invited to the surprise masquerade party for Billie Joe Armstrong’s 40th birthday, Elizabeth and I dressed as each other, and got ‘best costume’ cheers from all the friends there, including Jesse Malin on the left. 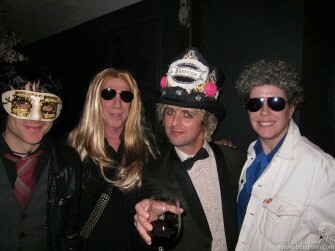 Kenny Laguna did his best to look like John Lennon, and Joan Jett was catlike at Billie Joe’s birthday party. Feb. 18 – New York – We rushed back to New York to go to Yoko Ono’s 79th birthday party where she rocked out with a great band led by her son Sean. 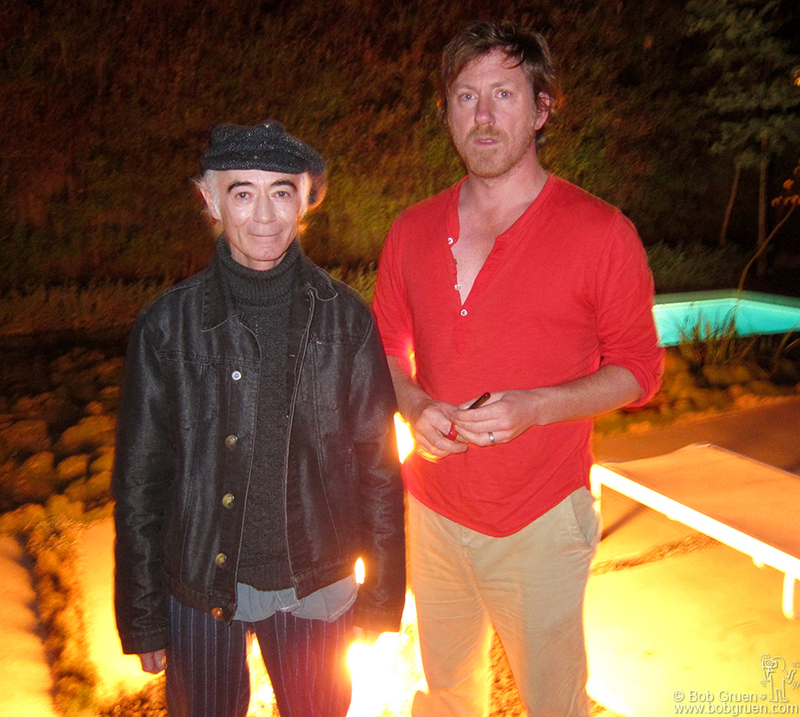 Feb. 24 – Los Angeles – I visited with BP Fallon at his friend David Holmes’ house. David’s a very cool guy who wrote the music for the short documentary ‘The Shore’ which won an Oscar award the next night! 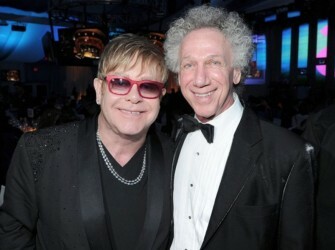 Feb. 25 - I was in Los Angeles to donate a large print of my photo of Elton John at Carnegie Hall in 1972 to be auctioned at his Aids Foundation Oscar Viewing party. 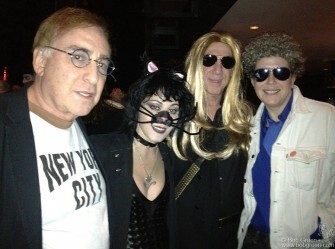 The photo sold for $34,000! Feb. 25 – I was in Los Angeles to donate a large print of my photo of Elton John at Carnegie Hall in 1972 to be auctioned at his Aids Foundation Oscar Viewing party. 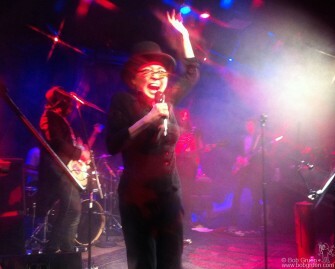 The photo sold for $34,000! 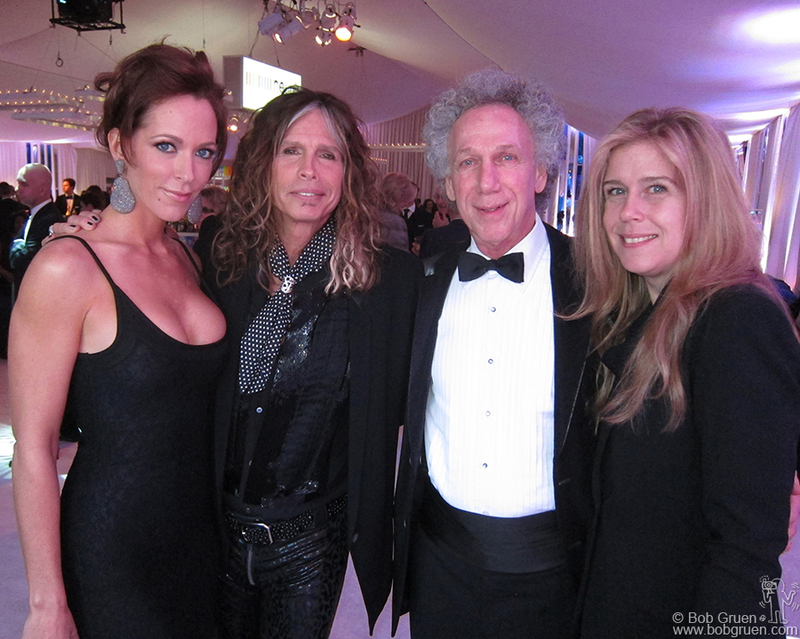 Steven Tyler was one of the guest hosts at Elton’s party, and he introduced us to his fiance Erin Brady. 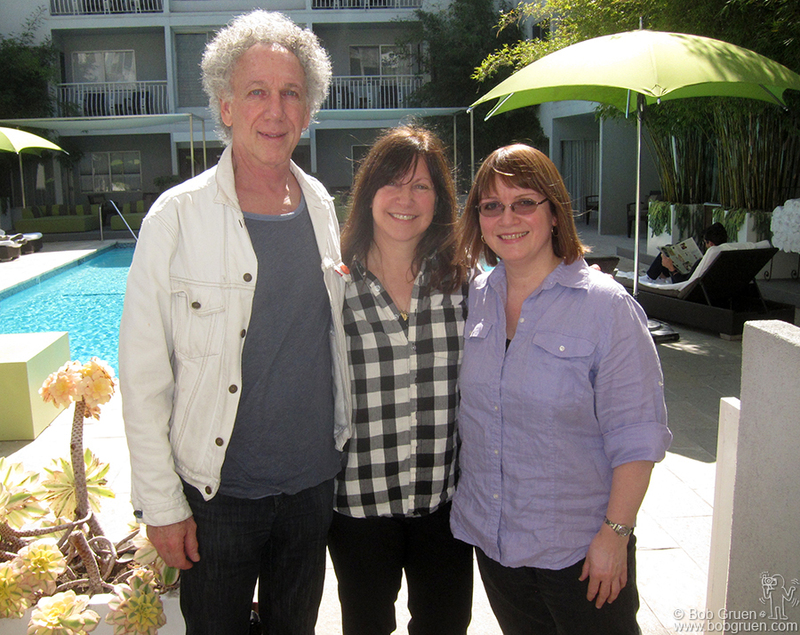 Feb. 25 – Staying at my ‘home away from home’ the Sunset Marquis hotel, I ran into Karen Whitford, wife of Aerosmith guitarist Brad Whitford. Karen was my photo assistant in the ’70’s and hired Karla Merrifield, (on the right) who was the photo assistant who brought organization to my life. Karla came to the hotel to meet for lunch when we had this happy reunion. 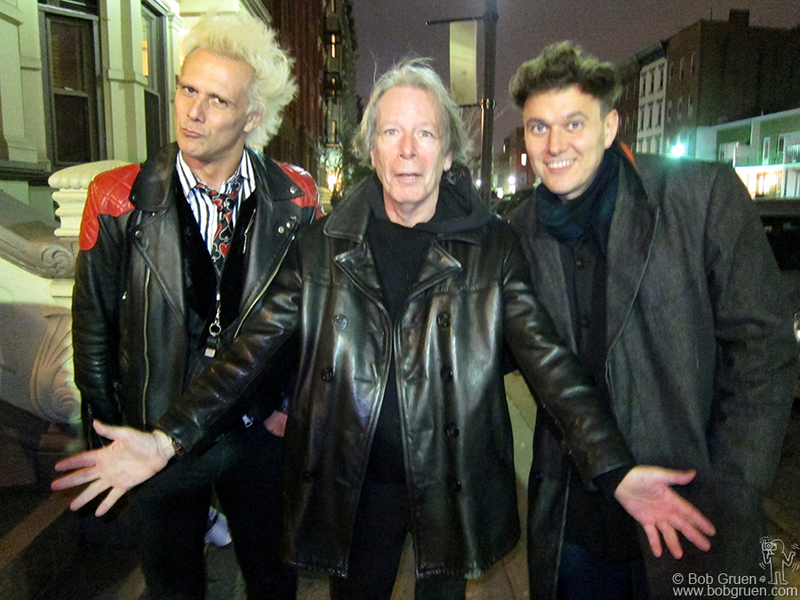 March 7 – Hoboken, NJ – I drove to Maxwell’s club with Legs McNeil, (center above) to see our friends Supla and Joao the ‘Brothers of Brazil’ who are gaining a big following in the US.